Stressed out? Join the study. 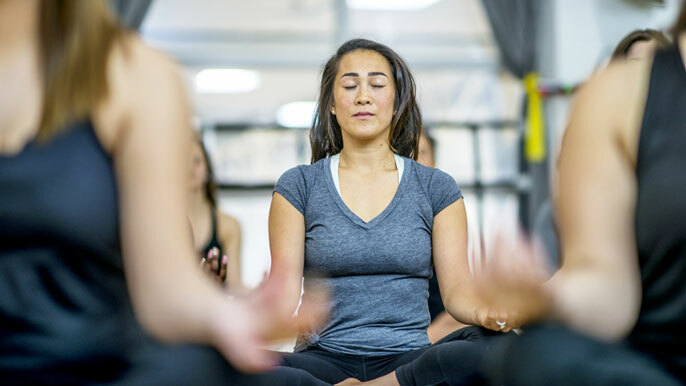 Join a UCSF study that will help researchers better understand stress and how daily habits such as breathing, physical exercise, or meditation may change how your body responds to stress and improve your mood and physical health. The study is currently recruiting women in good health between the ages of 30 and 60. Learn more at stressresilience.net. Researchers at UCSF are launching a study to examine the impact of short-term positive-stress interventions, including breathing techniques, on mood and physiological health. They say it is the first to look at how brief periods of controlled stress could protect the body from long-term stress. Chronic stress — perhaps from a high-pressure job or caring for a sick relative — has been linked with depression and earlier signs of aging, such as high inflammation and shorter telomere length, as well as earlier onset of diseases like cardiovascular disease and diabetes. The hope is that practices that promote so-called stress resilience may prevent or reverse these harmful changes, said Elissa Epel, Ph.D., professor of psychiatry, who is one of the leaders of the study. Mark Coleman (right), a Buddhist meditation teacher at Spirit Rock Insight Meditation Center, visited the lab of Elissa Epel (left), Ph.D., to work with her research team that is studying the impact of short-term positive-stress interventions on mood and physiological health. In humans, short intense workouts or hyperventilation and breath-holding — when done safely — could create a healthy stress response in the body. But until now no one has rigorously tested this in humans. “We are testing whether, when we apply stress in a manageable way, that’s improving cell-aging — such as turning on activities in the cell that clean out junk and debris and creating a younger cell,” said Epel. Epel believes the effect should extend beyond cells to mood as well. “Short-term stress training may elevate positive mood and make us less vulnerable to feeling anxious or depressed when stressful things happen in our life,” she said. The new study is supported by a $1.1 million gift from the John W. Brick Mental Health Foundation, which supports evidence-based research on how holistic treatments — such as exercise, nutrition, healthy lifestyle choices, and mind-body practices — benefit mental health. The study wil compare several positive, daily habits, such as meditation and exercise. The researchers will examine how these three daily practices affect the women’s response to future stressors — how well their bodies regulate and maintain balance in the autonomic nervous system, the immune system, and metabolism, for example.